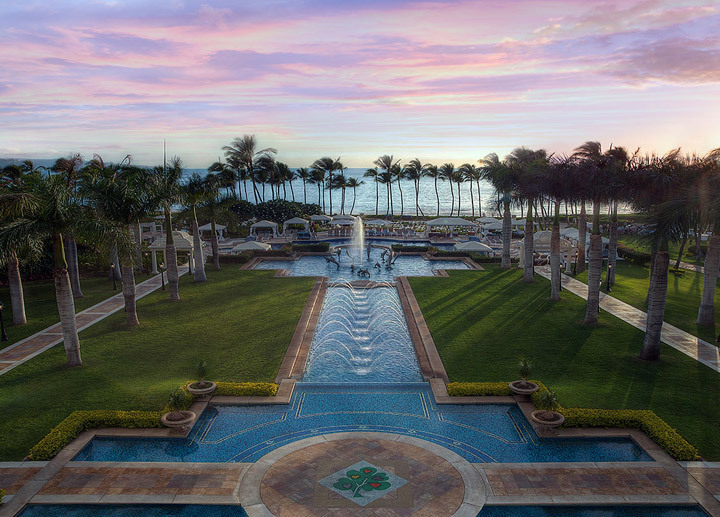 Situated on Maui’s stunning southwest shore, the Grand Wailea is an award winning 40-acre resort that makes any time spent in Maui purely magical. As well as a luxurious resort, complete with stellar accommodations (including spacious suites and rooms), Grand Wailea also boasts the largest onsite spa in Hawaii for its guests to avail themselves of—voted as one of the “Top 10 Spas in the U.S.,” it’s the perfect destination to pamper and refresh yourself while on vacation. The resorts lush grounds and tropical beachfront acreage may also be enjoyed while enjoying your daily breakfast buffet in the Grand Dining Room, offering jaw-dropping views of the resort’s reflecting pool and Wailea Beach.